"General Muhammadu Buhari is an upright man. Not many people know that his first daughter is married to an Igbo man from Anambra. He exempted Christians from performing duty on Sundays. When his Muslim soldiers asked him to exempt them from duty on Fridays he told them the bible says Christians should rest on the 7th day, the Muslims should show him where the Koran says they should rest on Fridays. As Head of State he slashed the number of Muslims going on pilgrimage by 50%.His driver and cook for the past 10 years plus are Christians yet some uninformed Nigerians say he is a bigot. It is a pity that some people failed to understand that politicians deliberately capitalised on the gullibility of Nigerians to paint him black. This they did in order to keep their loot and ensure that he never gets the opportunity to send them to jail. 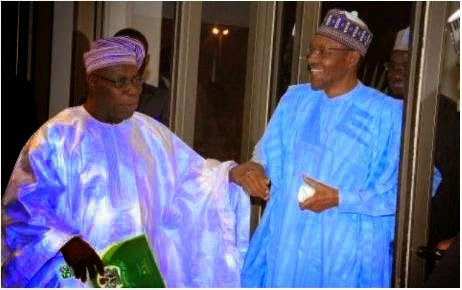 Hmmm…did Obasanjo really say these good things about Buhari or someone is playing a fast one on us? Three years after he was accused of killing, Titilayo, his banker wife, Akolade Arowolo has been sentenced to death by hanging. The trial judge, Justice Lateefa Okunnu of an Ikeja High Court while delivering her judgment, Friday, found Arowolo guilty on a one-count charge of murder. Details later.